The University of Liverpool is a university in the city of Liverpool, England. It is a member of the Russell Group, and founded in 1881 it is also one of the six original civic universities. The university has produced eight Nobel Prize winners and today has more than 230 first degree courses across 103 subjects, as well as an annual income of £219 million, including £75 million for research. Liverpool has the sixth largest financial endowment of any UK university, valued at £110m, according to the Sutton Trust. It is a member of the Russell Group of Universities. The University has over 23,000 registered students, with almost 18,000 full-time registered students. The University has a broad range of teaching and research in both arts and sciences, and has a large medical school, which is associated with the neighbouring Royal Liverpool University Hospital. Sir Howard Newby will be taking up the post of Vice-Chancellor of the University of Liverpool from September 2008. The University has a Students' union to represent students' interests, known as the Liverpool Guild of Students. It should be noted that whilst Liverpool has a total of three universities, the colloquial term Liverpool University commonly refers to the University of Liverpool rather than either of the other two, Liverpool Hope University or Liverpool John Moores University. From its origins as one of the first civic universities to its place as a groundbreaking Russell Group university which excels at teaching, learning and research, the University of Liverpool has remained committed to the 'advancement of learning and ennoblement of life'. 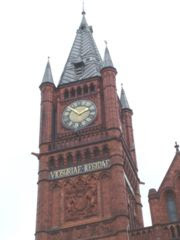 The University of Liverpool was one of the first civic universities. Founded in 1881 with the establishment of University College Liverpool, the College opened in 1882 with 45 students on Brownlow Hill. From the start, it recruited notable scholars and received generous financial support from the people of Liverpool. A high proportion of the original students came from Merseyside; for poor yet able students there were scholarships and fellowships. The University grew quickly, and the famous Victoria Building, the original 'redbrick' designed by Alfred Waterhouse, was opened in 1892. The University attracted the pioneers of the day, including Professor Oliver Lodge, who made the world's first public radio transmission in 1894. Two years later, Lodge demonstrated the use of X-ray photography by taking an image of a bullet in a boy's wrist. It was the first time an X-ray had been used for surgical purposes in the UK. 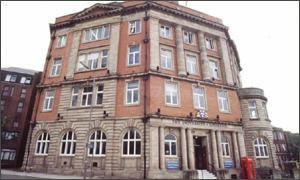 1899 saw the foundation of the Liverpool School of Tropical Medicine. Future Nobel Prize winner Ronald Ross, who had just completed his renowned research into the origins of malaria, was appointed at the helm. In 1903 the University received its Charter. This enabled the University to confer degrees in its own right, and so University College became the University of Liverpool. The University quickly established itself as an incubator for success. Professor Charles Glover Barkla's research into X-Rays won him the Nobel Prize for Physics in 1917, and Sir James Chadwick was awarded the Nobel Prize for Physics in 1935 for discovering the neutron. Other successes included Allan Downie, Professor of Bacteriology from 1943 to 1966, who was instrumental in the eradication of smallpox and Dr Robert Minnitt, Honorary Lecturer in Anaesthesia from 1933 to 1947, who developed the use of gas and air in childbirth. More recently, Sir Joseph Rotblat was awarded the Nobel Peace Prize in 1995 for his work on limiting the threat posed by nuclear weapons. The University entered the 21st century with great confidence. Its £9m Management School opened in 2002, offering a world-class business education, and a £25m Biosciences Centre opened in 2003, providing first-rate facilities for research, teaching and new biotech businesses. The University's contribution to science has continued apace with present-day successes including the development of a new low-cost drug to treat malaria. Work is ongoing to develop an effective therapy for Pancreatitis, which afflicts 20,000 people each year in the UK alone. Research at the University has shed important light on the mechanisms involved in the disease. Today, the University has over 230 first-degree courses offered across 103 subjects, over 19,000 registered students and an annual income of £219 million, which includes £75 million for research. The University remains strongly committed through the teaching and research of its staff to the 'advancement of learning and ennoblement of life' which the people of Liverpool helped establish over a century ago. The University is mainly based around a single urban campus approximately five minutes walk from Liverpool City Centre, at the top of Brownlow Hill and Mount Pleasant, the main site is divided into six faculties: Arts, Engineering, Medicine, Social and Environmental Sciences, Sciences and Veterinary Science. The Veterinary Teaching Hospital (Leahurst) and Ness Botanical Gardens are based on the Wirral Peninsula. There was formerly a research station at Port Erin on the Isle of Man until it closed in 2006. 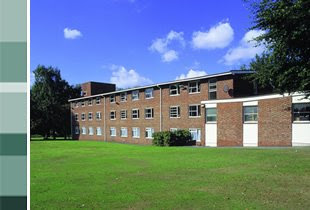 The Johnston Laboratories, a pathology research facility of repute during much of the 20th century, is now the biochemistry department of the university. In The Complete University Guide 2008 published in The Independent, The University of Liverpool was ranked 42nd out of 113, based on nine measures, while The Good University Guide 2008 in The Times ranked Liverpool 34th out of 113 universities. The Sunday times university guide recently ranked the University of Liverpool 27th out of 123.